Keith P was the best! Very professional, curtious and well prepared. He had my heat up and running in just a few mins. I recommend Key to anyone and be sure to ask for Keith. You will not be disappointed. Thanks again Keith. See ya in the fall. Keith was very helpful and answered all of my questions while completing the required service. Very friendly came when scheduled and was able to fix the problem. 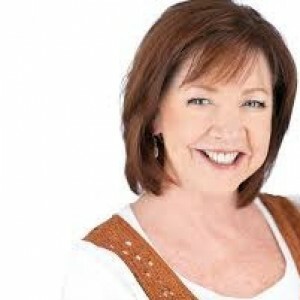 Albert was resourceful and communicated with a positive professional attitude. Not only is he a Veteran United States Army Ranger, but incredibly proud of this great nation. Thank you for sending him as our service rep.
Our technician was wonderful. Very efficient and informative. I would highly recommend him and this company. Thank you Albert! Here is the issue... Keith is knowledgeable, BUT after months of visits and $1000's we are still exactly where we started out. Nothing has improved. I get the feeling Key is just replacing stuff HOPING that it will fix the problem.. and meanwhile they keep charging us!! Keith is without a doubt the best and most knowledgeable service technician that I have ever dealt with. I would highly recommend him to anybody. After some back and forth with two other outfits, Key diagnosed the problem and, after getting the parts, quickly fixed the situation. Aaron was friendly, prompt, courteous and helpful. He explained improper placement of filter clearly. Very happy with the service we received from Key. Everyone we spoke to was friendly and helpful. Albert was very professional, polite, and fixed all issues we mentioned, including providing an explanation as to what he did. We will certainly be using Key again! We have a very old furnace on it's last legs. Keith the tech has helped us out a few times with issues. It's refreshing to get such great customer service. He does everything he can as efficiently as possible to save us money, but resolve the issues we have. I also like he takes the time to explain what the problem was, and steps we can take to avoid it happening again. 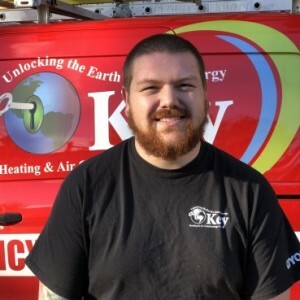 Key will definitely be our go to for any heating work we need done. Work has not been completed yet. 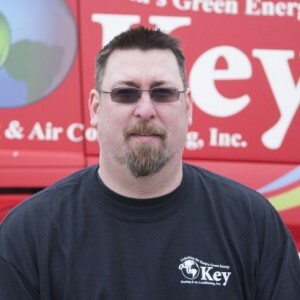 Key HVAC came to service my furnace for a recurring problem that other companies had been unable to fix. My technician, Keith, was very professional, friendly, and patient in working through the issue to ultimately find and fix what no one else had been able to. 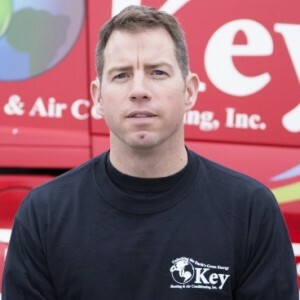 His customer service was top notch, as was the entire experience of working with Key HVAC. I will definitely use them again for all my HVAC needs. We had service a few weeks ago, and later found that one duct was still blowing cold air. Keith P. responded immediately and reconnected the duct that was the problem - he had to crawl under the house, no less! Awesome service, thanks, Keith. Happy New Year to all!